This past Saturday, I finished writing a story I’ve been working on for several weeks, a Sherlock Holmes short story that will become part of an anthology to be published later this year. The challenge of the project is that the stories have to be completely traditional mysteries in Watson’s voice. For those who may be unfamiliar with my books, Watson’s voice is not something I normally write, In fact, I never write it. My novels, while traditional in setting and characters and running alongside the canon, include the perspectives of Irene Adler and Sherlock Holmes. 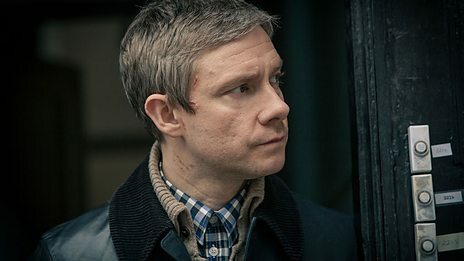 Watson appears as a character, but his perspective isn’t the focus. I took on the anthology project as a personal challenge, something new to build my authorial muscles. I did it; I wrote a completely traditional Sherlock Holmes mystery in Dr. Watson’s voice; those who have read it for editing purposes have enjoyed it, and I’m excited to share it with lovers of traditional stories. I’m still wiping the sweat from my weary brow. The story took me longer to write and was far more difficult than I ever would have expected. Ultimately, I gained a new perspective on the challenges that traditional story writers face and a new appreciation for the incomparable Sir Arthur Conan Doyle. 1) The Narrator versus the Main Character Issue–There’s a reason that Sherlock Holmes famously says he would be lost without his Boswell. Like Boswell’s Life of Samuel Johnson, the Holmes stories are about the man in the name, not the narrator (though, of course, both are also about a relationship). Normally, when I’m writing my own books, I know that I will periodically reach a section where I can explore Holmes’s point of view. 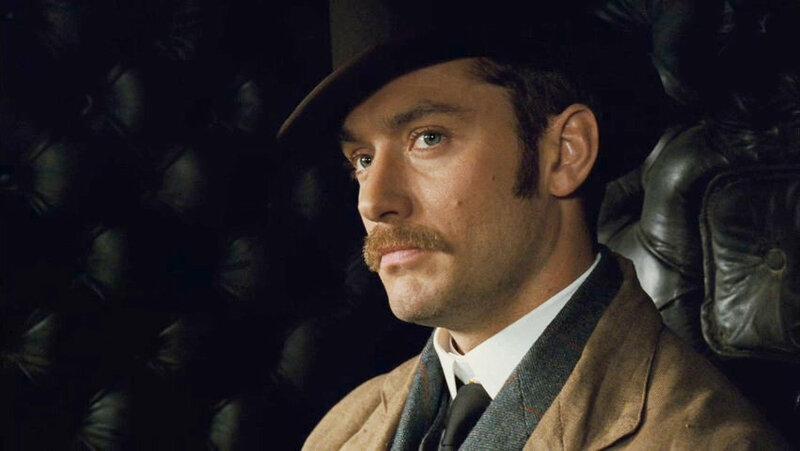 Writing as Watson, I was limited both in what Watson knows and what Holmes is allowed to show. I found myself, at times, needing to excise Watson inserting his thoughts where Doyle’s Watson never would have. I also found that I had to be careful not to have Holmes be overly obvious about what he knows before it would be logical for him to do so, since his point of view is not a direct part of the narrative. 2) The Secondhand Discovery Issue–Sometimes, both in the original stories and in the ones that come after them, Holmes and Watson make a discovery at the same time. Often, however, Watson is the secondhand discoverer of information Holmes already knows. This makes the pacing and plotting of a traditional story an intricate exercise in keeping things straight. Watson needs to be writing about the actions of a man who is often at least a few steps ahead of him, while maintaining the integrity of his own knowledge level. In other words, a huge part of what makes traditional stories interesting is that Holmes and Watson don’t have the same brain, and they are not usually able to have long conversations about exactly what Holmes knows the moment he knows it. As a result, for a writer, this means maintaining a narrative voice that is in a slightly different place in the story than the man he’s constantly writing about. 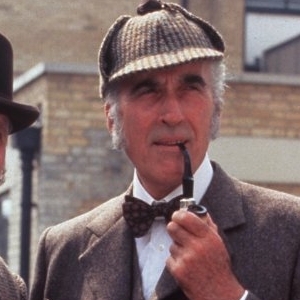 The above are just a few of the challenges inherent in writing the traditional Holmes and Watson dynamic of the original Sherlock Holmes canon. My own attempts to navigate them made me marvel, in a totally new way, at how easy Doyle made it look. That’s the true mark of genius, isn’t it? I awoke this morning to news of a most unwelcome kind, that of the passing of Sir Christopher Lee. Given that he had reached the age of 93, it’s impossible to say that Sir Christopher passed away before his time, but somehow it still feels true. Born in 1922, Christopher Lee, long before the Sir was added, had a childhood that sounds like something from a far-bygone time. Born to a Gibson-era beautiful mother, who was the subject of painting and sculpture by notable artists, and a father who was a veteran of the Boer War and World War I, he grew up with a mostly privileged upbringing that included a few roles in school plays. The true legend of Sir Christopher, at least as we have now come to know it, begins during World War II, where he was attached to the Special Operations Executive and worked as an intelligence operative. In characteristic fashion, he declined until his death to talk about his work, but a now-famous special feature on one of Sir Peter Jackson’s Lord of the Rings films reveals that Lee knew the exact sound a person makes when he’s stabbed in the back. As usual, there’s just enough revelation and mystery to the tale to keep us guessing about the true nature of his wartime activities. Lee’s acting career began in the late 1940s upon his return from war and his realization of his disinclination to office work or teaching. His accomplishments and accolades in the years following almost defy belief. He appeared in Sir Laurence Olivier’s Hamlet; he became a horror film legend as Frankenstein’s Monster and Dracula; he played a Bond villain; he did whatever else he wanted to do, and he did it well, thank you very much. Along the way came American acclaim and glittering recognition, including the honors that eventually led to his knighthood. Sir Christopher entranced a new generation of fans with his iconic roles in the Star Wars and Lord of the Rings franchises, but Sherlock Holmes fans will, undoubtedly, always remember him as the man who played Sir Henry Baskerville, Sherlock Holmes, and, most notably, Mycroft Holmes in The Private Life of Sherlock Holmes. His portrayal of the elder Holmes brother as an intelligent, mysterious, and very involved part of the narrative continues to influence portrayals of Mycroft to this day. Notably, best-selling author Laurie R. King and Sherlock showrunners Steven Moffat and Mark Gatiss cite it as a major influence, and countless other authors and adaptors echo them. Few people live long enough to see themselves become legends in their own lifetimes, and on the rare occasion that it happens, even fewer manage to keep from being made into something both more and less than human at the same time. Sir Christopher Lee was a lot of things–spy, actor, heavy metal musician, and international celebrity. What he never stopped being was eager–to work, to learn, and to try new things. He passed away with an “Upcoming Projects” section on the Internet Movie Database that is still populated with titles. According to The Guardian, he’d signed on to a new film a month before his death. That’s who Sir Christopher Lee was, a man who never lost his human passion for doing the things he loved, the things he was so good at doing that they entranced the world. Misri’s books have, as their protagonist, the immensely engaging Portia Adams, a young Canadian detective with a connection to Holmes and Watson. The mystery aspects and Portia’s detection style owe a great deal to Doyle’s works, but they are adapted to a slightly later point in time and Portia’s own unique personality. Misri’s meticulous research into the history of criminal arson is very much in evidence in this book and will please those who enjoy realism in their criminal fiction. Thrice Burned is not a rehash of the previous book. It builds on Misri’s previous elements (though it can be enjoyed as a standalone work) and deepens Portia’s character as well as her relationships with Annie and Dawes–two very well fleshed out characters who serve as Watsonian foils to Portia’s Holmesian brilliance. 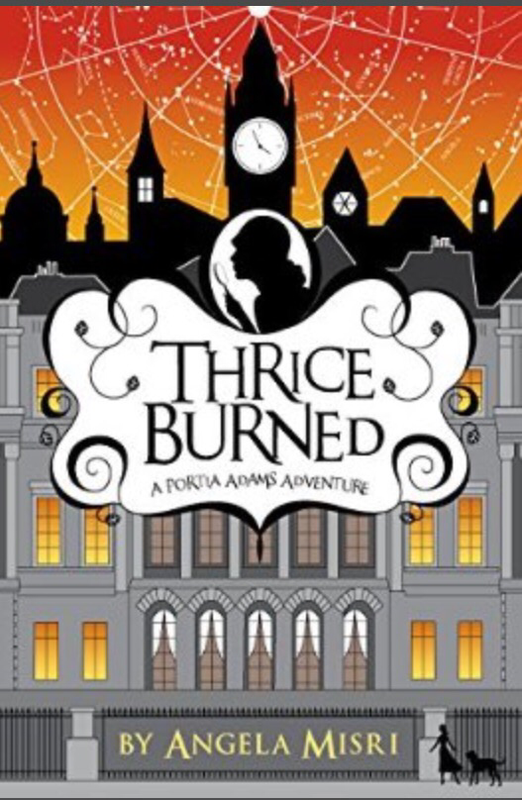 Misri is one of the most exciting new authors whose works I’ve encountered in some time, and Thrice Burned is another enjoyable installment that manages to be, all at once, very Holmesian and very much all Misri’s own. A copy of the above-reviewed book was provided by the author for consideration. All opinions expressed are the reviewer’s own.